Tomorrow is the second annual Non League Day, a chance for fans of league football to return to the grassroots and support football in their local community. "A celebration of the semi-professional and amateur game, and a chance for fans of bigger clubs to experience football at a level they may be otherwise unfamiliar with. Moreover, it is a chance to shine a light on the hundreds of clubs in this country who are almost exclusively volunteer run, and do so much good for the local community, be it through coaching, fundraising or providing opportunities for local people." Specifically chosen with the international break in mind, it is a perfect opportunity for fans of Premier League and Championship clubs to see an alternative; with football, pie and a pint often found for under a tenner. If you are watching a match below Blue Square Premier, you can also drink that pint whilst you watch the match. Perfect! Stuart Fuller from The Ball is Round has published a handy guide of what to expect here. 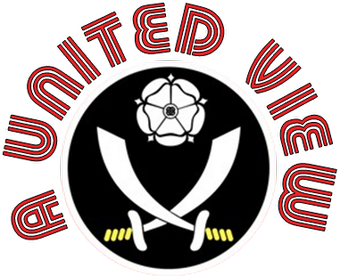 Unfortunately, the decline of my club means that we have a home fixture against Bury at Bramall Lane tomorrow and so I will be supporting my life-long love. In order to make up for that, I attended Handsworth F.C (based in the suburb of Sheffield where I grew up) on Wednesday night for their Northern Counties East League clash with Bottesford Town. I'lll do a write up on my enjoyable evening out on A United View next week and explain why I think Non League Day is great for raising awareness and a brilliant idea, but what is to stop a football fan making it a Non-League Day any day they want to. For now, head to the Non League Day website for a full list of fixtures. Or, if you are South Yorkshire based, Footysphere and the Doncaster Rovers site Viva Rovers have done a great job of letting you know what football is available on your doorstep. Go on, you may surprise yourself with how much you enjoy it!